Look at the highlighted sentence...isn't it promising? Absolutely Yes......We tell you why!! Russia is one of the popular destinations for medical studies . Russian Federation attracts a number of medical aspirants every year from Asian countries. The medical courses in Russia are taught in English as well as the Russian language. There is no compulsion for selecting a language for a course. The curriculum for medical studies in Russia is advanced and highly standardized. The Government of Russia has been spending lots of efforts for improvising medical education in Russia. The exams like IELTS or TOEFL are not required for studying Medicine in Russia. Russian medical degree is universally accepted and recognized by WHO , MCI . Around 50 medical universities in Russia operate under the aegis of the Ministry of Public Health of the Russian Federation recognized by WHO & UNESCO . The medical universities in Russia offer the 6-year MBBS course for international students. The MBBS course in Russian Medical Universities is accredited by medical councils of various countries like USA, India, Canada, Australia, U.K etc. Russian universities provide low-cost medical education with a reasonable fee structure . The basic eligibility for enrolling into MBBS course in Russia is the candidate should have a minimum of 50% aggregate in 12th standard. Age of a student should be 17 years on or before 31st December of the year of the admission. Accommodation cost in Russian medical universities is low & affordable to foreign students. There is no language barrier for MBBS course as the universities offer a medical course in English & Russian languages. Well structured and advanced academic curriculum . Globally recognized and MCI approved degree. Clinical exposure is provided to students from well-known hospitals. No donation required since the university has a direct admission process. Practical training, seminars and conferences are organized for medical students. Russian medical universities have an international corporation for foreign students to monitor students exchange programs and welfare activities. So, these are some of the benefits of studying medicine in medical universities of Russia. Now, the choice of universities is the important phase of every medical aspirant during admission process. Here are the complete list of top medical universities in Russia with a valid fee structure. Fetisov N.V. (surgeon-dentist) was the first director of the university. 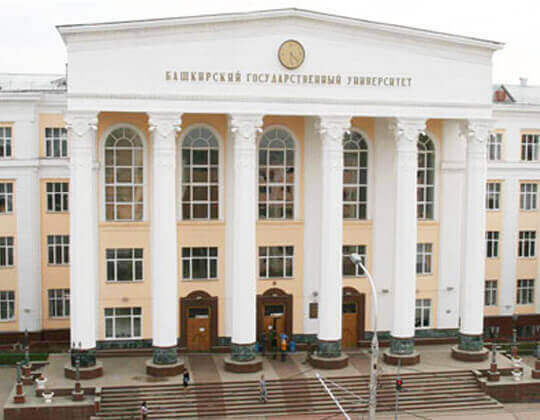 Orenburg State Medical University is ranked among top medical universities in Russia. The university has 8 academic departments in the following discipline: General medicine, Pediatrics, Preventive care, Dentistry, Clinical psychology, pharmacy, nursing care and department of postgraduate training and specialists. Orenburg State Medical University has updated infrastructure with modern equipment. Tver State Medical University was founded in 1936 which is the leading medical institutions in Russia. In 1986, the institute has got a National Award for participation in international education, collaboration and development. The university has an affiliation with well-known hospitals in Russia for treatment of oncology, tuberculosis, infectious skin, sexually transmitted diseases. Tver State Medical University is recognized by WHO & MCI work in the areas of international cooperation including cardiology, genetics, pediatrics, ophthalmology, radiology etc. Siberian State Medical University was established in the year of 1888 ranked among top 3 medical universities in Russia. More than 5000 students from 24 countries come to study medicine in Siberian State Medical University. The structure of university includes 7 faculties, 42 academicians, 800 doctors of science and professors and 2 presidents of the Academy of medical science of Russia. It is the first university in Russia accredited by Skolkovo Technology Park . The university has a student scientific community, 20 diverse associations, KVN teams & own theater. Being founded in 1755, more than 40,000 students studied medicine course at the Lomonosov Moscow State University. The university has named after the Russian scientist Mikhail Lomonosov. 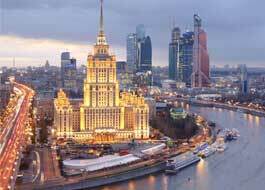 Lomonosov Moscow State University is the center of learning and research in Russia. The university has 4 museums,15 research institutes, 39 faculties, 18 branches of science and humanities, 350 research projects. Apart from this, the university has introduced 140 distance learning programs. Direct admissions are done through Lomonosov Moscow State University for MBBS course. 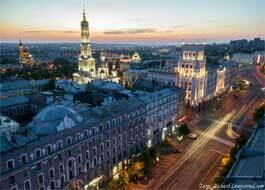 Pavlov First State Medical University was founded on September 14, 1997. It is the first educational institution for women in Russia and in Europe. Today, clinics and departments of the institute have become a center for development and implementation of methods in diagnosis and treatment in medical practice. University has adopted advanced teaching-learning methods of a western education system. In the year of 1967, the first USSR Scientific Research Institute of Pulmonology was organized. Kursk State Medical University was established on 9 February 1935. Kursk State Medical University is one of the largest university in Russia. Today, around 19,000 students are studying medicine at the university. The university has 12 faculties, 65 departments, 408 candidates of science,133 doctors of science. University has a scientific and pedagogical division which monitors the supplementary and scientific activities conducted by the university. According to the result of the National rating made by Interfax, universities have been taken the 94th place in a general ranking of universities in Russia. The university offers MBBS course for a duration of 6 years recognized by WHO & MCI. 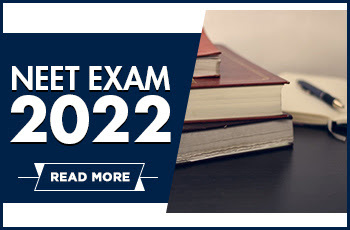 After completion of course, students are eligible to take an exam like PLAB, MCI, USMLE etc . The university has 16 faculties, 165 professors, 381 Ph.D. doctors of a clinical laboratory, pharmacists, specialists, epidemiologists etc. Dagestan State Medical University was formed in the year 1932. More than 60 scientific innovations are carried out by the university. The university has well-prepared educational plan leads to improving educational process, innovative development, medical work improvement, education quality management system. Presently, Dagestan State Medical University is a recognized scientific and cultural center of Russia which enhances world education and scientific space. Altai State Medical University was established in the year of 1954 by the Altai Regional Committee. The organization of Altai State University developed a need for higher educational institutions in the Altai region. Altai State Medical University was recognized by the Ministry of Education of the Russian Federation. The university has 100 doctors and 350 candidates of science, 5 honored scientists of Russia, 25 physicians of Russia and 10 honored workers of graduate school. Perm State Medical University is one of the recognized scientific centers of higher medical education and leading medical universities of the Russian Federation. The university has 569 highly qualified teachers , 143 doctors, 354 candidates of medical sciences. Each year the university has produced a number of patents, inventions and plays an important role in the implementation of national projects in healthcare and education in the Perm territory. In short, Russian medical universities are the best option for Indian students those who want to study medicine abroad.